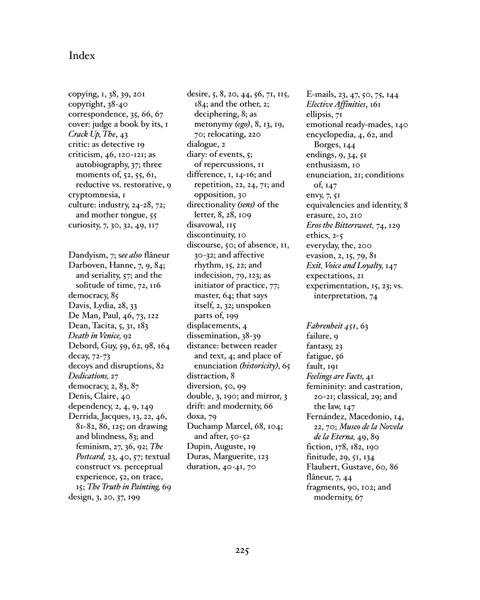 Index of a book I haven't yet written and most probably never will. 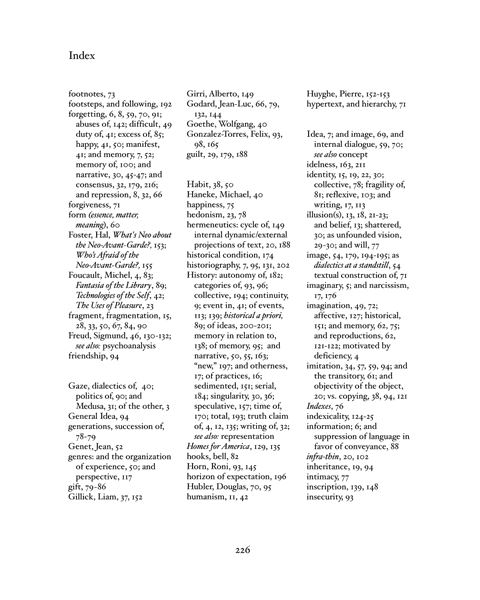 A container that becomes its own content. 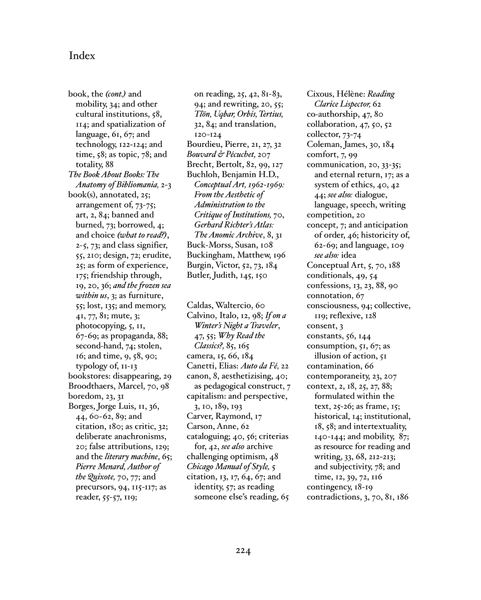 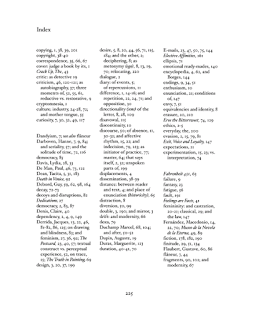 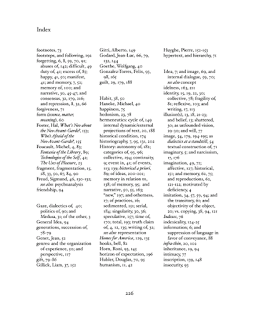 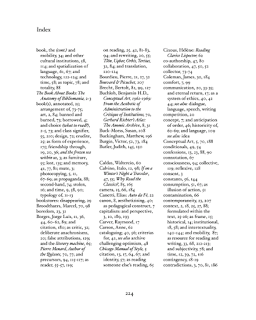 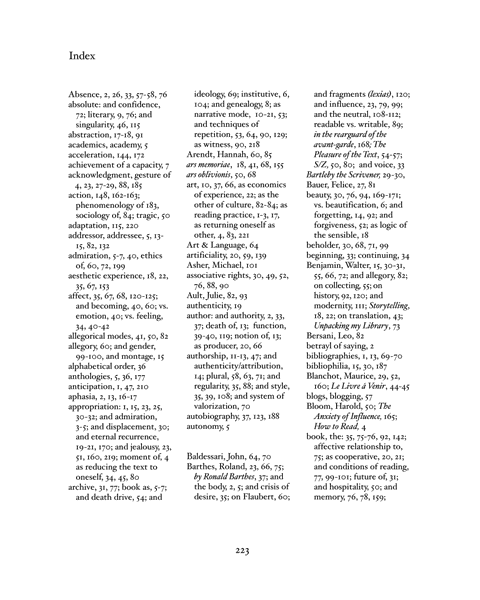 The index is half way biographical and half way theory text; it is extremely personal, at times even hermetic, yet full of clichés.